The poster’s idea of “drizzle” and mine are totally different. Use more olive oil. And don’t boil the potatoes until they’re too soft. Then I couldn’t find my potato masher. (I had an antique one but it’s missing in action.) I used a large fork which worked fine. And I didn’t have fresh herbs so I used what was in the cabinet–basil and parsley. Despite some of the goofs, they did turn out to be pretty darn yummy. So, here are the instructions just as I stole them off FB. Just boil some baby potatoes (I used red) until fork tender. Preheat oven to 450 degrees. Drizzle olive oil on a baking sheet, set potatoes on sheet and using a potato masher, gently smash each potato down, rotating masher both ways (so it looks like a thick cookie). Drizzle with olive oil, season with salt/pepper and sprinkle cut fresh herbs and garlic over each. THEN top with some lovely grated Parmesan cheese. Bake for 20 minutes. 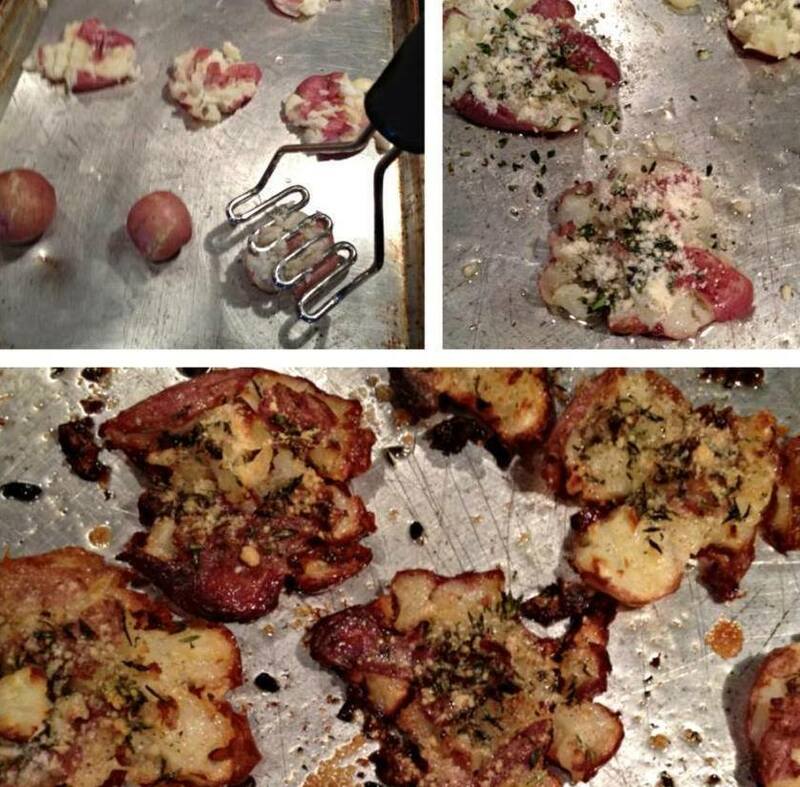 OMG…crispy on the outside, soft in the middle, salty, garlicky, herby and cheesy goodness. I need to make more now!! This entry was posted in Writing Life and tagged characters, family, food, recipe, Tuesday Treats. Bookmark the permalink.